Know The Difference Between Shared And Managed Hosting To Decide The Right One. After choosing WordPress CMS for your website the next significant decision is selecting the right hosting among shared hosting and managed hosting. In the simplest sense, WordPress hosting is just hosting that has been optimized to meet WordPress’ performance and security needs better. It also typically includes one-click WordPress installs to make it easy to get started with WordPress. Your server will still be performance-optimized for WordPress, and you won’t have it all to yourself. In addition to the performance tweaks, you’ll also get access to some one-click WordPress installer. Honestly, this isn’t a huge draw because cPanel (available on most hosts) already includes a one-click WordPress installer. Some WordPress hosts will offer to upgrade your WordPress software automatically. Sometimes they will even upgrade your plugins and themes too! Keeping your WordPress site updated is an essential security measure, making this feature quite relevant. Shared WordPress hosts typically offer steep discounts for your first billing cycle. After that, prices jump back to normal. Remember – those are just starting prices – higher tier shared WordPress plans run more expensive. You’ll get regular malware scans and intrusion detection. Staging sites which allow you to quickly test changes to your site before you make them live. As you can see you get lots of more features and benefits with the managed hosting. That’s why managed hosting is more expensive than the shared WordPress hosting. Hosting providers like Site Ground and Flywheel, you’ll generally need to pay in the range of $25+ per month for quality managed WordPress hosting. But there are lots of other hosting companies you can go for managed WordPress hosting. So what should you choose? Should you go for the Shared or the managed? With the shared hosting, you have to spend less money than the managed hosting, but you get fewer features too. You have to spend more time handling your shared hosting. Generally, the beginners should choose cheap shared WordPress hosting, and high-traffic sites should choose managed WordPress hosting it is the concept. But one crucial thing we need to remember the time is money. If you’re a beginner – it’s easy to get overwhelmed trying to do stuff like configuring caching and stay on top of updates. When you go with managed WordPress hosting, you don’t have to worry about any of that. Yes, you are paying more money. But that extra money means you have to spend less time managing the performance of your website. So, if budget is your primary concern, by all means, go with shared WordPress hosting as a beginner. Just remember that, for the lower price, you are missing out on the concierge services offered by managed WordPress hosts. You’ve made it this far; now as you know what WordPress hosting is. It’s upon to your needs, according to your needs you should go with the hosting. Below we are mentioning some hosting company names and some specific points you need to focus while choosing the hosting provider for you. Scalability: When it comes to scalability, the critical aspect you should look for in a host is flexible plans that can accommodate all kinds of sites. Security: To identify whether a WordPress web hosting company can be considered secure, you should keep an eye out for the following tells: While we can quickly determine the first three points by taking a good look at a host’s feature list for each plan. Support: If the WordPress web hosting company you’re considering happens to provide its users with substantial documentation and WordPress-specific advice, you’re probably in safe hands. Reputation: The best kinds of reviews will often discuss the quality of the different services on offer, what a particular host is doing right, and where they’re dropping the ball. If you have your hosting account in Godaddy and want to install your WordPress site on it, you can read- Know How To Install Your WordPress Site On A GoDaddy Hosting Account. 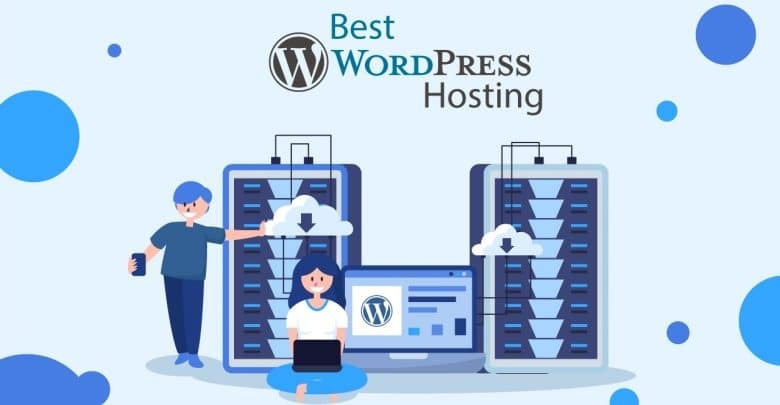 We Hope this article will help you to choose the best WordPress hosting and give you a better idea on Shared WordPress hosting and managed WordPress hosting. Thanks for reading. If you have any suggestion or queries, please use our below comment box.